Whenever we talk about investment goals, things like buying a house, getting married, children’s education, or a world tour come to our minds. Retirement is one topic that most of us are not willing to talk about, primarily because ‘there is a lot of time yet’! Also, many youngsters believe that by the time they retire, they would have automatically saved up enough to live a financially independent life. We all hope that it does. But, hope alone is not sufficient especially at an age when you would rather be sitting on a nice tropical beach with the warm breeze soothing your skin or in a cold mountain watching the snowfall or traveling around the world. This needs careful planning. In this article, we will look at the importance of retirement planning and why you should start at a younger age. Do you know what the average life expectancy is today? Nearly 80 years. If you retire by 60, you have 20+ years of retirement and THAT is a long time. It also means that if you stop working by the time you retire, your income will stop and you will have to live off your retirement savings. Further, this figure is an average which means that if you are lucky, you might live way beyond the average. Also, old age is usually synonymous with health problems and regular doctor visits. These can be cost-guzzlers too. Therefore, it is important that you start planning for your retirement and create corpus which can help you live the life of your dreams in your golden years. Many people live with the notion that they will work beyond their retirement, until the day they die. While it might be ideal for many people, it is not possible to maintain a high level of professionalism forever. As you grow older, you will slow down and your brain and body will not function the way they do now. The living is about hoping for the best and preparing for the worst. Most of us live with the hope that the future will be better and they will be in a comparatively stronger financial position as time goes by. That is hope. Let’s talk about preparing for the worst now. What happens if inflation rates keep rising and costs keep soaring? How do you think you will manage your retirement life with all those costs and no source of income? This is another reason why retirement planning is crucial. It is also important to stick to your retirement plan and resist all urges to dip into your retirement savings for that flashy car or a world cruise. Remember, have a plan and work on it dedicatedly. Also, keep the candle of hope burning and if costs do go down, then you will be a super-rich oldie! Retirement is also a time when many people desire to be involved with their children and grandchildren. While living together might not always be possible, if you can afford to take a quick flight to wherever they are for their birthdays and shower them with love and gifts, it will mean a lot to your family and your bond with them will strengthen. After working hard all your life, you would like to maintain your position as a giver than a receiver, right? Think about a scenario where you are dependent on your family. Doesn’t portray as a pretty picture, does it? Start planning for your retirement and you might even be able to leave behind a memory of a loving and giving parent and grandparent. Most of us are so busy during the working years that we don’t have time to do things that we really love. Add to it the responsibilities at home, growing children, installment payments, aging parents, the list of things that keep you away from your dreams is virtually endless. All of these changes by the time you retire. The job is over, children have grown up, and you have all the time in the world to do things you wanted to. The only thing to you need to ensure is that you have enough retirement savings so that you can do all the things that you were busy putting in your bucket list all your life. Be it traveling the world or going on a six-month cruise or spending days with the Eskimos in their Igloos – if you have planned for it, you can do it! Finally, remember that there is no better time to start planning for your retirement than today. The younger you start, the easier it is. 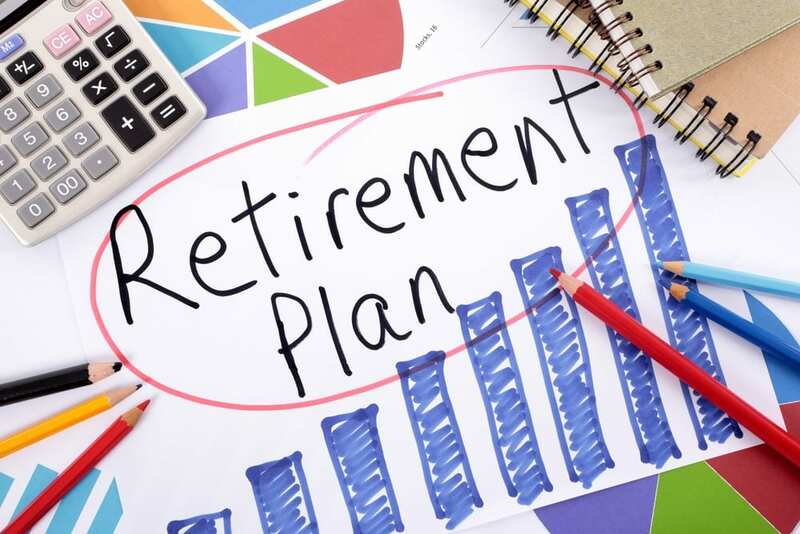 If you start saving for retirement before you are the primary breadwinner of the house, you can afford to set aside a considerably large portion of your income towards your golden years and allow compounding to display its powers. Stop giving yourself excuses that you don’t have enough money to set aside for your retirement. The fact is, that retirement is the part of your life which needs planning and time. Prioritize it and create a retirement plan today!